Spoiled by technology and the marvels of modern agriculture, nowadays you can find almost every type of produce all year round in the supermarket, be it seasonal or not. However, food that is in season is fresher, tastier, and healthier than at other times during the year because there’s less chance of it having been subjected to long-distance delivery or harmful preservation techniques. Because the cycles of nature contribute to a balance between natural diversities, eating according to them is important, not only to our health but also to the health of the entire planet. Additionally, buying food in-season is also much more affordable than when it’s not. So remind me, why exactly are you eyeing up that pumpkin right now? Enrich your springtime menu with these vegetables currently in season in Beijing, available at most local markets or seek them out on your favorite Chinese restaurant’s menu. Toona sinensis deserves its place on the top of this list. 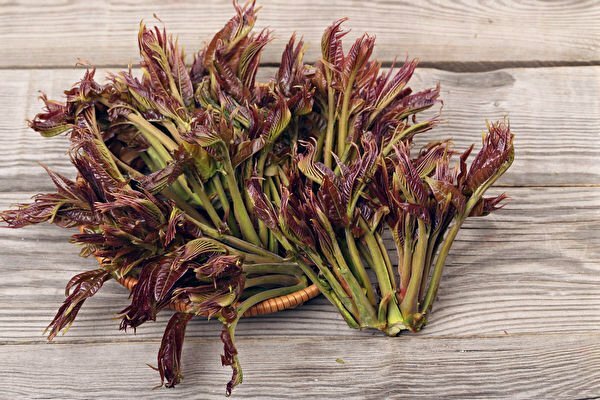 It’s only available during a very short period each year given that the early sprouts, when their color is still reddish, are considered to be the most delicious and nutritious. 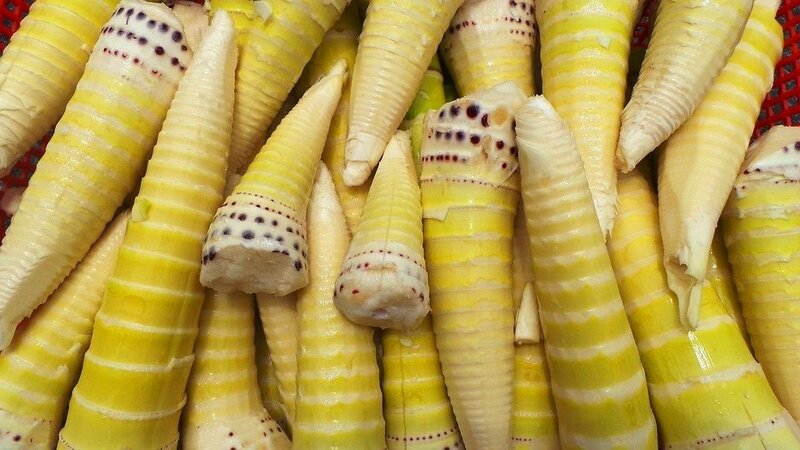 The young leaves are so welcomed among Beijingers due to their floral, onion-like flavor that trees are planted exclusively just for this yearly vegetable treat. Beijing’s long-time love towards toona sinensis is even evident in the hutongs, where a number of alleyways are named after the plant, such as Changchun Jie and Xiangchun Hutong. Dishes available now: toona egg pancake (香椿鸡蛋饼 xiāngchūn jīdàn bǐng) and toona with tofu salad (香椿拌豆腐 xiāng chūn bàn dòufu). Spring also means freshly-erupted culms of the bamboo plant. They’re tender, crisp, and chewy, and go great with various cooking methods, be it in soups, braising with pork, or simple stir-fries. Bamboo is also an excellent source of fiber – win-win! Dishes available now: braised bamboo shoots (油焖春笋 yóu mèn chūn sǔn) and bamboo shoots with pickled cabbage (雪菜春笋 xuě cài chūn sǔn). 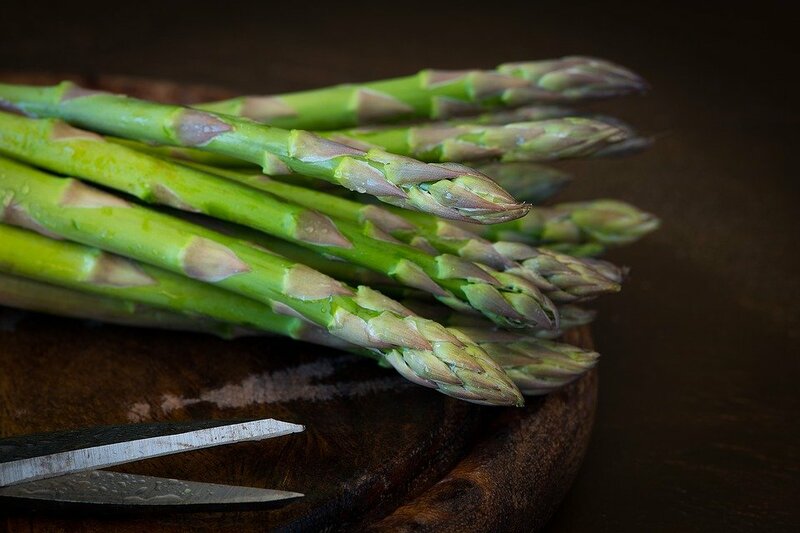 Asparagus is a very low-calorie vegetable, yet packed with nutrition such as potassium and vitamin A and C. Though not universally enjoyed (especially among kids) due to its somewhat bitter flavor, the stalks are crunchy, buttery, and go great with other strong-flavored ingredients. 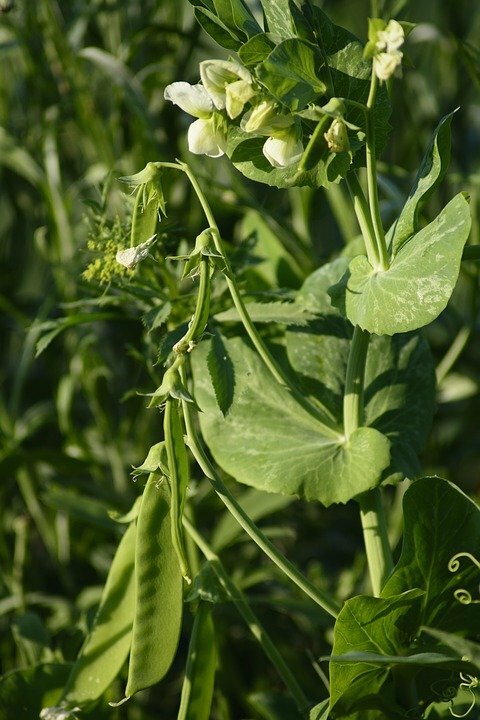 If you’re looking an easy health boost, add sugar snap peas to your diet. They are high in vitamin A and C, and contain moderate amounts of iron, which helps the body regulate blood sugar levels. They’re also super versatile and can be consumed in a number of ways: steamed, stir-fried, and even raw. 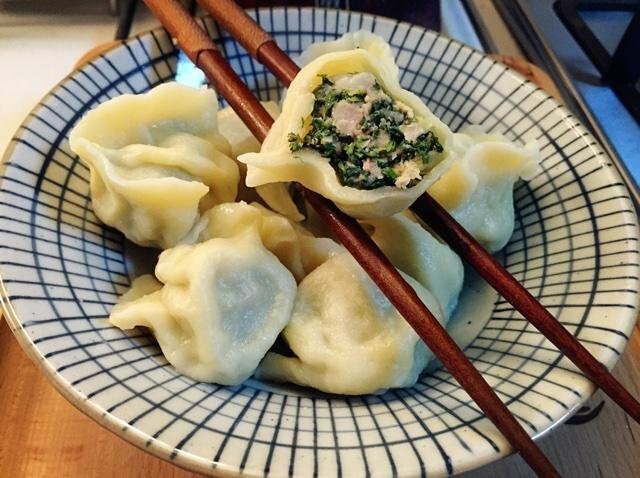 Dishes available now: pork and Capsella bursa-pastoris dumplings (荠菜猪肉饺子 jì cài zhū ròu jiǎo zi), Capsella bursa-pastoris wontons (荠菜馄饨 jìcài hún tún), and tofu and Capsella bursa-pastoris stew (荠菜豆腐羹 jìcài dòufu gēng).